A divorce can be particularly complicated when it comes to dividing property between the spouses. It is crucial to value the assets and characterize them accurately as separate or community property. Texas is a community property state, which means that all property acquired during the marriage is presumed to be community property. An experienced divorce attorney may work with expert appraisers or financial professionals to make sure that the community estate is properly identified, valued, and divided. At the McClure Law Group, our Dallas high-asset divorce lawyers take care to ensure that our clients achieve an appropriate outcome in connection with property distribution. Whether a particular asset should be characterized as community property or separate property may be decided by determining the inception of title to the property. Spouses who want to show that property is not community property may show that they acquired the title to the property before the marriage, and under the inception of title rule, the character of the property is determined by when and how a person first acquired an interest in it. The presumption in Texas, however, is that all property is community property. Community property is supposed to be divided in a just and right way, considering both parties' rights. Whoever wants to claim that an asset is separate property so that they can keep it and not subject it to division during a divorce bears the burden of proving its separate property character by clear and convincing evidence. In Texas, separate property is what a spouse acquired before marrying or acquires during the marriage by gift, devise, or descent. Additionally, any compensation award for injuries suffered by one spouse during the marriage, aside from lost wages during the marriage, is separate property. Community property can be made up of a wide range of high-value assets, including the marital home, a family business, retirement accounts, savings accounts, stock options, royalties, property, vacation homes, and investment properties. This type of property must be split during a divorce. In longer marriages, the division of community property can be particularly complex because separate and community assets may be commingled, or in some cases, they are hidden. For example, suppose that you purchased an investment property before your marriage, but you renovated it by using some community property and some separate property. In that case, your spouse may have a strong argument that the community has an interest in the property. When either spouse has substantial assets going into the marriage, it may be appropriate to draft a pre- or post-marital agreement to protect assets that you are concerned will be construed as community property in case of a divorce. A well-drafted agreement can minimize conflict during a divorce because you can come to an agreement with your spouse ahead of time regarding which assets will be characterized as separate property and which will be community property. A high-asset divorce attorney at our Dallas firm can also help you execute an agreement transforming certain community property into separate property, making it easier to maintain the character of the property over the course of a marriage. If there is no pre-marital or pos-tmarital agreement, you may be able to overcome the presumption that an asset is community property through "tracing." To properly trace an asset, it may be necessary to retain an expert to look at the trail of documents associated with the asset to determine whether it should count as separate or community property. What about property, such as a rental home or stock, that grows in value over the duration of the marriage and with the market? Increases in the value of separate property stay separate property. However, any income is community property. For example, if the spouses rent out a home that one of them owned as separate property before the marriage, the rent money is community property. Characterizing a trust can be especially complex. Trusts are a form of property ownership in which a settlor transfers legal title to a trustee and equitable title to beneficiaries. In Texas, separate trusts created before a marriage that are irrevocable spendthrift trusts can be a legitimate way of sheltering the separate property of the marriage. The income from the trust will not be subject to division during the divorce if the beneficiary of the separate trust does not have a present possessory right to any assets in the trust. When a spouse is given a present possessory right to any part of the trust, however, the income from the trusts can be divided as community property. If distributions are mandatory, or a beneficiary spouse retains control of when and how much the distribution can be, the income from the trust is usually deemed community property. However, if a spouse is not a trustee, and the distribution of income is discretionary with the trustee, the income is generally considered separate. Likewise, if one spouse's parents established a trust fund for that spouse as a form of inheritance, the principal of the trust fund is separate property. However, any income earned by the trust fund and distributed during the marriage is considered community property. It is important for a lower-earning spouse to be aware of the possibility of a wealthy or higher-earning spouse siphoning income earned during the marriage into separate trusts for the purposes of depleting and defrauding the community estate. What your spouse considers an "equitable division" of community property in a high-asset divorce may not be what you consider an equitable division. If you are concerned about issues related to a pre-marital agreement or another situation involving property division, the McClure Law Group can provide knowledgeable legal representation. 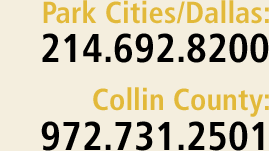 Our Dallas high-asset divorce attorneys also have a Collin County office in Plano (by appointment) and represent people in Dallas, Fort Worth, Garland, Irving, Richardson, McKinney, Frisco, and Rockwall, as well as other cities in Dallas, Collin, Grayson, Denton, Tarrant, and Rockwall Counties. Call us at 214.692.8200 or contact us via our online form to set up an appointment.